Overcoming the loss of both parents and stints of being homeless, Haley, Kassidy, and Sierra have defied all odds. 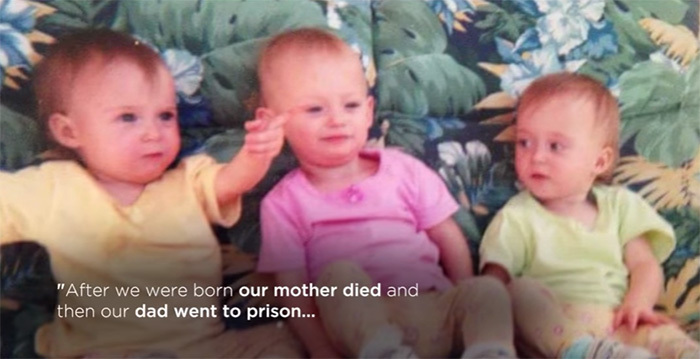 The Yeckes triplets’ mother passed away when they were 3 months old. Their father went to prison. They lived with a grandmother, but since she didn’t believe in schooling, they didn’t go to school until they were eight years old. Now, all three sisters are bound for college. Their amazing story inspired the FOX5 Surprise Squad to be there in secret for their graduation day. Watch the Yeckes triplets receive the surprise of a lifetime.